Tires offer the necessary grip when driving. With continued use, the threads wear out and this can decrease traction between the car and road. 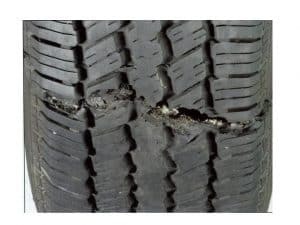 Driving with old and worn out tires is extremely dangerous – especially when it comes to breaking. Extreme hot weather has a negative effect on tires. It is recommended that you change your tires after 6 years. You can do this sooner if you have experienced more punctures or you travel a lot. In most countries the minimum legal tread length is 1.5mm. However, you should replace your tires before they reach the legal limit. One of the leading causes of unbalanced tread wear is not inflating your tires correctly. Ensure that when adding pressure to the car the tire is cold. Air is inflated under hot conditions. There are several ways to measure tire trend length. In the first instance, you can use a measuring gauge. If you do not have one there is a method that has to be existence for many years – Lincoln penny. Insert the coin into the tire gap with the head facing downwards. If you notice that the whole head is visible you can continue using the tires. However, if you cannot see the head then you need a tire change. In some tire, you will have tread wear indicators. This shows you the minimal length for tread wear. Most modern cars have this in place. The bars are visible with new tires but they soon start disappearing with increased tire use. When you can see the tread wear indicators then your tires have outlived their purpose. The sidewall is more sensitive when compared with the trends on the top of the wheel. Sidewall punctures are difficult to fix and signal to a new tire. You can do a physical examination of the sidewall for visible cracks. It is dangerous driving a car with sidewall cracks because it can explode at any time. In some instances, you will notice that your car tire has developed bulges. This appears on the outer surface –, especially on the sidewall. This is very dangerous because they can cause a tire bust at high speeds. You will notice the car vibrates whenever you are driving on a smooth road. Not all car vibrations are a result of a worn out tire. At times it could be that your wheels are poorly aligned. In addition, engine vibrations put undue pressure on a car’s wheels. Tires tend to crack under hot weather conditions. They also crack when you leave your car unattended for a long period. It is wise to avoid washing your car with cleaning chemicals. If you have are not going to be driving your car for some time, cover it to protect the car paint and tires from UV light. These are more common with modern cars that have a warning light whenever there is low tire pressure. In most cars, it appears as U exclamation mark. When this happens to head to the nearest service station and have your tire pressure checked. The mechanic can check for slow punctures or recommend a tire overhaul if the tires are completely worn out. What do in case of tire blow out? If your car tires show the above signs then the probability of a blowout is very high. If you are driving at an extremely high speed the probability of the car rolling is high. If you have an unexpected blowout, hold the steering wheel tightly. This gives you a bit of control of the car, which would be steering towards the side with a burst tire. Next, take your foot off the gas pedal. This should slowly bring the car to a standstill. Avoid applying emergency brakes at this time because it will cause the car to roll. When the car comes to a halt, put emergency flashers and change your tire. Most people often avoid changing their spare tire when making tire changes. In emergencies, you may find the spare tire as worn out as the rest of the tires. The nature of the road you are driving in has a direct effect on tire wear. If you are constantly driving on a road with many potholes the tires take on a lot of pressure. Potholes are also filled with many sharp objects that cause punctures. 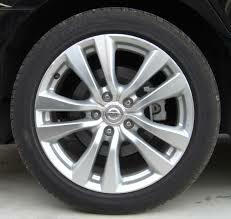 You should also ensure that you purchase your tires from reputable tire manufacturers. A leading cause of blowouts is wrongly inflated tires. Your tires can either be overinflated or underinflated. During under inflation the car grip with the road is reduced. This causes the tire to wear out faster. Overinflation puts undue pressure on one side of the car. You can find right tire inflation pressures from the manufacturers manual. Ensure that all the tires are inflated with the same pressure. Tires wear out faster when you change punctures more frequently. This reduces the tread and causes bigger gaps. In some instances, you will be forced to purchase a new tire instead of fixing for punctures. You need tires to drive your car. However, like most car parts they do wear. Tires wear faster because they are part of the car that is constantly in contact with the road. When you notice your sidewalls have started developing cracks or your trend are below the legal limit you need to purchase new tires. You can use a gauge to test trend height or use the Lincoln coin test. Worn out tires are susceptible to blowouts. Blowouts during high speeds will cause the car to roll. Should you have an unexpected blow out trying to have a grip on the steering wheel. Ease on the foot pedal while avoiding incoming cars. The car will gradually come to a halt and you should change your tire. However, you should constantly check your tires for wear before a blow out occurs. What does the "Tire Pressure Sensor fault" message mean? Sidewall Tire Damage – When do I have to replace the tire? What does the “Tire Pressure Sensor fault” message mean?